Discussion in 'Natural, Temporary, and Permanent Shelter' started by Bonzer, Jun 18, 2016. How would you go about building a make-shift shelter in a semi-wild area? I was replying to a first-aid thread on the other day where people talked about highly dangerous, venomous snakes in Australia. I never went out an expedition and never used any camping gear. So, I've no experience. Well, how would you make your shacks/huts snake-proof? Thanks for your reply Tom. What you mentioned is a good idea, but I was wondering if we ever get camping gears that stop wild creatures from getting in. Sleep is such a valuable commodity on an outdoor expedition which I wouldn't like to compromise on. I would like to know more about any possible alternatives. Yep, that's true indeed. I've once seen a news item where a boy was bitten by a snake and was holding onto the boy's leg injecting more venom. A pet dog pounced on the snake and pulled it away while the boy's granny came rushing and rescued the boy. The sobbing boy, of course,was saved eventually. I saw it on a television news item. I don't remember the exact country where it took place. We don't, snakes even enter houses. You just make your shelter & hope the snakes stay out. If you construct your shelter on higher ground away from water, there is less chance of seeing any snakes. Stick strewn forest floors are good, snakes prefer an easy passage over grass or smooth surfaces. In the Territory we used to get King Brown snakes in the house all the time, even had one in our son's cot. I kept a sawn off 12 gauge shotgun handy at all times. Growing up in Texas, the copperhead capital of America, I HATE snakey areas. I agree that a hammock is the best way to go. Now, I have also seen where individuals take a rope that is rough to the touch and lay it in a circle around where they are going to sleep. Then lay down inside that circle to sleep. I have never done this so I can not speak from experience. My vote is the hammock. I don't think you can make your shelter in the woods snake-proof. When my husband was young, they used to see a snake inside their house, as often as once a month. Their home is between 2 fish ponds with water spinach and a grassy field on the front. Snakes are common and the best they could do is to always leave the door closed. In the woods, maybe the only defense we can put up is the bonfire. Surely, snakes would be repelled by the appearance of the fire and the odor of smoke. However, you need to have the bonfire 24/7 otherwise if the place is infested with snakes, surely you would be attacked. 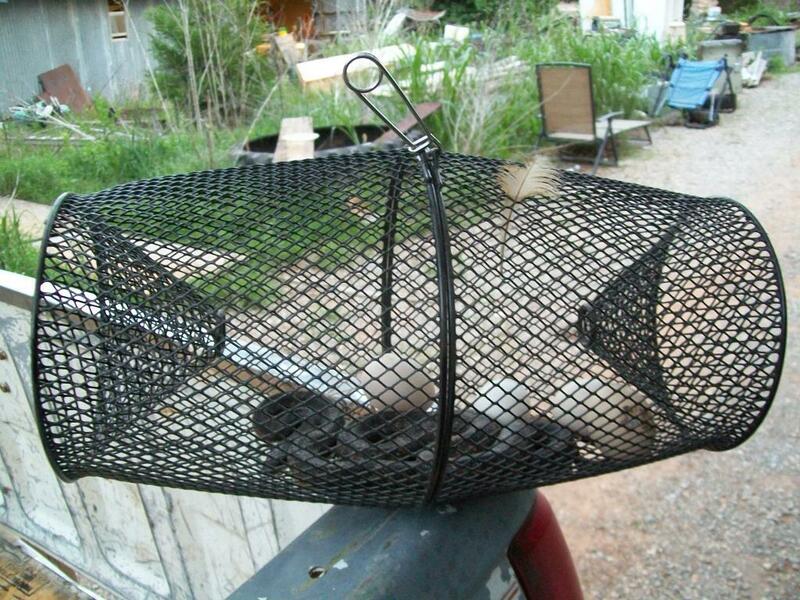 It's good if you can build a shield like a mosquito screen so the snake cannot reach you. Or better if you have a dog, snakes are deterred by a dog especially if it is quick to bark. I've been looking online for a snake repellent and everything that's out there is a scam. Like all living creatures they are attracted to shelter, food, and warmth. If you living area is full of crevices to hide in and a lot of natural food, you are most likely will have a critter or to visit you sooner or later. Someone earlier mentioned a hammock and that should get you off the ground. The only shelter I think would work is a tent with that zips up shut where nothing but air can get through the mesh. I hate to bring up a tent in nature but that is the only solution I can think of. No holes for the snakes to crawl into. Another possibility is to not try to repel any pest but to do the exact opposite. Case in point, I use to have a ant problem in my last apartment. If I got rid of one colony, then another species of ant would come in and the bait traps was ineffective. This would go on repeatedly til I finally gave into the idea of indulging them with what they want. I had a Coke bottle with some left over coke at the bottom, and placed it outside in the yard a few yards from the house. Sure enough I saw less ants as they were now attracted away from the house. You can add to the bottle and place any left over food and they will be loving it. So set up a snake station where it would invite the snakes even more then your dwelling. A huge rock pile with lots of openings, throw in some dead mice or lizards in a jar with a few opening to where it can be smelled by critters. See how that works. Every other day go over to the snake station and catch as much snakes a s you can to consume later. I'm not joking. Eat them. They also have snake traps for sale. They look like fish traps. Same principle applies. My buddies use to go bow hunting and they would leave a salt block for the axis deer to lick on during the day. A few days later he would be hiding in the trees waiting for the deer to come by. Same principle applies. Once the snakes know where the food is they will be back. Like most pest, rodents, even game will be attracted to a food source. You could use something that will repel snakes. Sprinkle kerosene or diesel around your shelter or the area beyond which you don't want any snakes. I don't know if the smell or something else in kerosene or diesel that repels snakes. Fact is the two actually work. In normal times you can get them but post shtf it might not be that easy. I've been searching high and low and I can't seem to find anything remote that actually works. I know there is a scorpion repellent that some indigenous tribes still produce and it works. I wonder if that will work on snakes. Whatever it is, it must be pungent as hell. Skip to 9:02 and you will see the repellent for a scorpion. I wonder if it will work on a snake? Make sure your shelter doesn't have any vents for snakes to pass through. You may use wood or mud to close unwanted vents. Snakes also like living in bushy surrounding. You will have to clear any bushes around to keep snakes away. Remember that snakes are very dangerous during hot seasons. Dogs play with snakes, well most do. I'm not so sure the Dog is the way to go. Cats kill snakes though, so Cats are great to have around. They also keep other such vermin at pay, Rats getting into your food supply for instance. As for snake-proofing a place, I'm not sure you can. Even in suburban Melbourne (South Australia, it's rainy here) I've had neighbors with a Snake inside their house just this Summer past. Nothings foolproof. Just be vigilant. I just found this and have to comment on it. I don't know how snakes are everywhere but in Texas we have 4 types of poisonous snakes; the rattle snake, the water moccasin, the copper head and the coral snake. I know these snakes really well and have dealt with them all my life. First off snakes swallow their food whole. People are way to big to be mistaken for prey. Snakes see really well and are not going to approach you mistakenly. The thing about them crawling in your bed with you is mostly just a story told to scare tinder feet. They are nocturnal predators and have no interest in sleeping with you. Rattlesnakes and water moccasins are antisocial and will warn you if you get too close. The last thing that they want to do is get in a fight with something bigger than they can eat. I have slept a lot of times on the ground and have a lot of friends that camp a lot too and nobody that I have ever known has had a snake invade their camp with bad intentions. IF you keep a messy camp and leave food and garbage laying around that will attract mice and rats and those are what snakes are looking for. You get snake bit when you are moving and step too near one not while you are sleeping. In West Texas people consider getting in a sleeping bag with 12 or 15 Rattle snakes a sport. They also have snake bagging contests where a person jumps in a play pen with 25 rattle snakes and it is a timed even to get them all in a bag. These people are intensely CRAZY!! Nonetheless this shows you just how anxious they are to bite someone. Understanding nature means that you have to set aside prejudices and see what is really there. The copper head bites more people than all the rest combined. They act like possums and play dead. If you don't see them and either step on them or grab them they will nail you. The good news is that while it hurts a lot they are not deadly poisonous and after you have been bit several times you don't react to their venom much. Coral snakes are gentle snakes and if you get bit you almost deserve it. they don't have fangs and have to get a part of you like the tip of your pinky finger to the back of their mouths to get their venom into you. None of these snakes are going to come after you though a water moccasin will make you think he is. They are called cotton mouth water moccasins because the inside of their mouth is snow white. If you approach them, long before you get close enough to get bit they will start striking at you showing you their big white mouth warning you away much as a rattler does with their rattle. I have no fear of getting snake bit even when I'm running in the woods or swamps at night or swimming in places that have snakes. They are in general pretty nice critters. I have had a lot more close encounters of the stain my drawers sort from nonpoisonous snakes. Rat snakes and green water shakes will get right up close to you. I've had several fall on my shoulders and two water snakes try and crawl in my lap while I was fishing. I don't think that they are very smart! Thanks for the post and info. I live in snake country and we do have rattlesnakes. I have seen several and you are correct. Don't crowd them and they will leave you alone. I don't like snakes but I don't shoot them just because they are there. Just watch where you are going. Don't just step over a log, until you see what is on the other side. Step on the top of the log and see if the other side is shading a snake. Don't dig into rock piles before checking them out with a long stick. Simple precautions will work. We lived in West Texas when I was a little kid. My brother was born in Hobbs New Mexico. I had a little friend when I was about 6 that got us in big trouble with our Mamas. Every day at lunch he asked his Mom if he could have an extra slice of baloney for his "friend". She assumed that he was just wanting it for himself so she played along with it and would give him an extra slice and shooe him out the door. After a week or so she got curious and followed him outside to see what he was doing with that baloney. He had a special friend that lived under the house and would squat down and hand feed it. Mom assumed he was feeding a stray cat or dog but as she got close she saw to her terror that the little boy was literally hand feeding a big rattle snake. She started to screech and dragged the kid in the house. That afternoon my Dad and his Dad removed the snake. It was almost 6 feet long and was rather nonchalant about coming to the edge of the house to see what was going on. My little friend was squalling and begging them not to hurt his snake so they caught it and relocated it out into the desert. The Mamas screamed at all of us about playing with snakes and threatened us with fates worse than death if we got caught messing with them again. I never was there when he was feeding the snake but that didn't matter to my or any of the Moms on the street. People can't seem to resist making the things that they fear into monsters that are evil and vicious. It is seldom true. People are the most likely animal to hurt or harm for pleasure alone. At worst most predators that have no connection to man may play with their food. Good story Tex, love it! I was wondering if we ever get camping gears that stop wild creatures from getting in. A hammock is about as snake proof as anything. You can fly a tarp over it to keep you dry if it might rain. Nothing can be guaranteed to be snake proof, leave a door open on your vehicle or caravan & a snake can slip inside. The best you can do is construct your camp up off the ground to lessen the likelihood of venomous visitors.